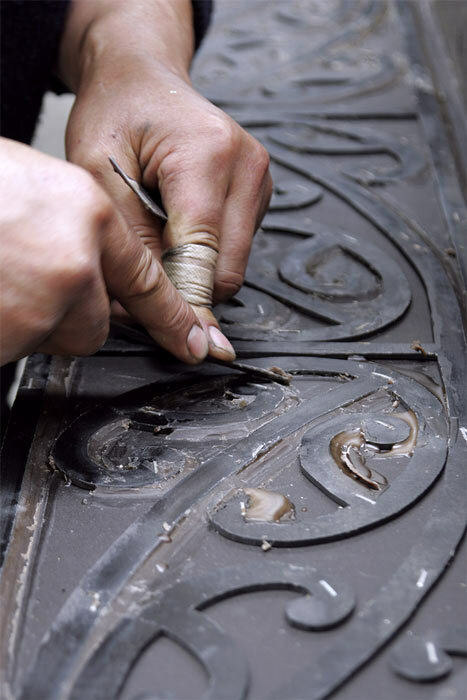 This photograph shows the detailing work for the New Zealand Memorial in London in progress at sculptor Paul Dibble's Palmerston North workshop. The sixteen bronze standards were textured with patterns, words, raised images and three-dimensional models. Many of these depicted familiar New Zealand plants, people and activities.